Iconic US truck brand RAM will break cover in New Zealand on Wednesday, June 15 at the opening of the National Field Days. American Special Vehicles will then offer a range of comprehensively re-engineered right-hand drive RAM 2500 and 3500 series trucks for sale across New Zealand. 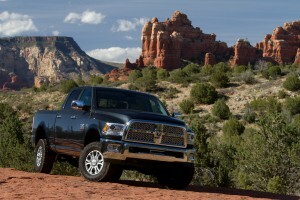 RAM is the fastest growing truck brand in the United States. 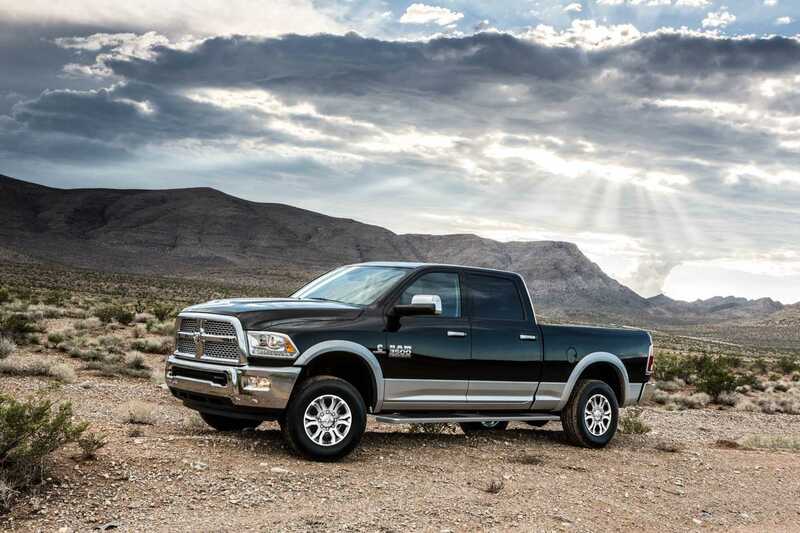 Since its launch as a stand-alone division of Fiat Chrysler Automobiles (FCA) in 2009, the RAM Truck brand has steadily emerged as an industry leader with US sales over 40,000 trucks per month. The ASV RAM trucks are imported to Australia direct from the factory in left-hand drive. The Walkinshaw Automotive Group then completely remanufacture the RAM vehicles to right hand drive on a purpose-built production line in Melbourne. Powered by a 6.7 litre Cummins turbo diesel engine producing 276kW and a staggering 1084Nm of torque, a RAM Truck can carry or tow an astounding amount. Depending on the type of towing arrangement utilised, RAM Trucks feature an enormous towing capacity of up to 6989kg for the RAM 2500 and an impressive 6170kg for the RAM 3500. Payload is 913kg for the RAM 2500 and 1713kg for the RAM 3500. The RAM 2500 front suspension features a unique three-link coil spring arrangement. The rear suspension boasts a class exclusive five-link coil spring suspension featuring unique multi-rate coil springs and heavy duty fixed displacement twin tube shock absorbers, both of which are placed in an outboard position that optimises performance and minimises noise and vibration. RAM trucks are also big on safety and security featuring advanced, multi-stage front airbags, front, and rear seat curtain airbags, electronic stability control, rear park assist and rearview camera, an eye level brake light with cargo camera, a tyre pressure monitoring system and remote keyless entry. Mr. John DiBerardino is a long-time member of the Walkinshaw Automotive Group and joint chief operating officer of American Special Vehicles with overall responsibility for the right-hand drive re-engineering and after sales support. “Our engineers and manufacturing teams have risen to the challenge of implementing a completely unique build process for the right-hand drive RAM,” he said, “while simultaneously designing, sourcing and cataloguing hundreds of original equipment quality parts. Mr. Peter McGeown is a well-known and highly regarded veteran of the local auto industry and joint chief operating officer of American Special Vehicles with overall responsibility for import, distribution, network, sales and marketing. “There is a significant opportunity to fill the pent up demand for an OEM-quality vehicle of this type,” he said. “Not just the quality of the vehicle either, though that is significant, we will offer a nation-wide dealer network with sales, parts and service support commensurate with a brand of this standing. Right-hand drive RAM trucks engineered by American Special Vehicles are covered by a comprehensive three-year, 100,000km warranty along with full parts and service support.